BENTONVILLE, Ark. (AP) — Federal regulators says they’ve closed ANB Financial National Association banks after discovering “unsafe and unsound” business practices there. David Barr, a spokesman for the Federal Deposit Insurance Corp. says many customers served by the bank’s nine locations had accounts under $100,000, which will be fully insured by the government. Barr says customers can continue to write checks and draw money from ATMs through the weekend. Barr says Pulaski Bank and Trust Co. agreed to assume control over ANB Financial’s bank locations, which will be open Monday. As of Jan. 31, federal regulators say ANB Financial had about $2.1 billion in assets and $1.8 billion in total deposits. It was the third closure this year of an FDIC-insured bank. Douglass National Bank, a Missouri bank with $58.5 million in assets, was shut in January; another Missouri institution with assets of $18.7 million, Hume Bank, was shut down in March. Both were dwarfed in size of ANB Financial, where regulators found lax lending standards, mostly for construction and development loans for projects in Utah, Idaho and Wyoming, as well as Arkansas. Observers have been watching for signs of bank distress resulting from the mortgage crisis. Profits at federally insured U.S. banks and thrifts plunged to a 16-year low in the fourth quarter as institutions set aside a record-high amount to cover losses from sour mortgages. The FDIC is planning to beef up its staff, including temporarily hiring up to 25 retired FDIC employees who worked in the agency’s more than 200-person division that handles failed banks. They will handle an anticipated increase in bank failures. 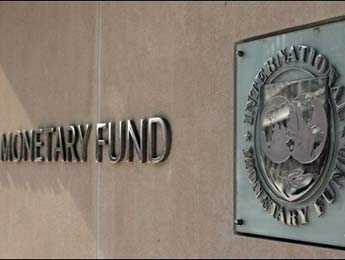 The International Monetary Fund released its semiannual Global Financial Stability Report, predicting that the economic crisis “is spreading beyond the US subprime market.” The report comes ahead of the IMF and World Bank spring meetings. The International Monetary Fund said Tuesday the worldwide losses stemming from the US subprime mortgage crisis could hit 945 billion dollars as the impact spreads in the global economy. WASHINGTON – FOUR out of five Americans believe things are ‘on the wrong track’ in the United States, the gloomiest outlook in about 20 years, according to a New York Times/CBS News poll. The poll, released on Thursday, found that 81 per cent of respondents felt ‘things have pretty seriously gotten off on the wrong track’. That was up from 69 per cent last year and 35 per cent in early 2003. Only 4 per cent of survey respondents said the country was better off than it was five years ago, while 78 per cent said it was worse, the newspaper said.